So what is a Photomask? How is a Photomask Used? How is a Photomask Made? Have You Designed Your Mask? Every different exposure tool has some kind of mask alignment system used to align the mask to the stage/substrate. Typically these features will be supplied by your exposure tool manufacturer and you would add these to the mask design. Over the years Compugraphics has manufactured virtually every type of mask available. This means we may hold the files you need in our extensive alignment mark library so if you are unsure of yours, let us know your tool make/model and we may be able to supply the required marks. There are other alignment marks usually used to align the mask to a previous mask already printed on the wafer. These can range from simple crosses/box in box features on contact/projection/proximity masks to complex wafer alignment systems in the more advanced step and repeat reticle steppers/scanners. They are usually drawn by the customer since they reflect the relevant process and materials used when building up the device from the various masking layers. If you do need any help, or indeed if you have drawings of the marks, then let us know and we can use our CAD Services to generate them for you. The other key parameter is “Parity” or “Reading Sense”. This defines how the design is imaged onto the mask with regard to mirroring. Most designs are done with the final product/wafer in mind. 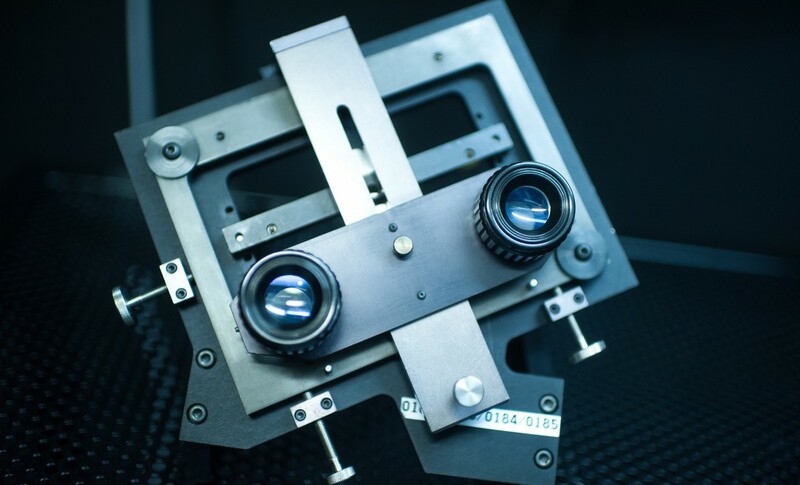 However many mask lithography systems mirror or invert the mask image when passing through the optics. With contact printing it is the chrome surface of the mask to the wafer pattern surface. The most common is that a mirror is performed so typically the mask is made with a wrong reading with the chrome surface upwards. This is mirrored back on the wafer but right reading is also common for example; on backside of wafer surface applications.